They’ve gone from being downright deadly to dazzling and delightful. Eggs were all but banned by dietitians and doctors alike; however, I recently heard a person should eat four eggs a week to help ward off on the onset of diabetes. How many of these egg-laced phrases have you heard? Boy, he really laid an egg. 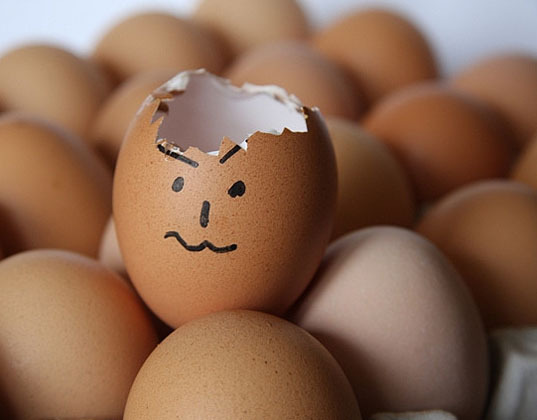 Be careful, talking with him is like walking on egg shells. Most of the egg-centric philosophy above is pretty good advice; however, I have to question the context of the last one. It’s wise to put all of your eggs in one basket when that basket is Jesus. When it comes to the basket of eternal life, I hope you will come to know and to believe that Jesus is the Son of the living God.